Two selections of upcoming meetings of the 'Dish' A Different Kind of Book Club at the Llano County Library. “We have our regular book club (Llano County Reading Group) that picks the books they’ll read during the year at one meeting, and then we have our Lunch Bunch, but I’m always looking for other ways to bring people together to talk about books,” Myers said. Two of her interests are cooking and reading. You would think that would translate into a cookbook-only club, but Myers pointed out that many fiction authors feature a serving of food and even recipes in their novels. “Dish” A Different Kind of Book Club, which meets 1 p.m. the third Thursday of the month at the library, combines cooking and reading — and some eating. “We’ll change our books each month. One month, we’ll read a novel or work of fiction where food plays a part in it, and the next month, we’ll have a cookbook,” Myers said. When the club focuses on a novel, participants will read the book ahead of time and, during the Thursday meeting, cook a dish from the book. When the club covers a cookbook, everyone will select a recipe from the book, make the dish beforehand, and bring it to the meeting. For the first Dish club meeting on Thursday, Aug. 16, Myers has selected the novel “The Recipe Box” by Viola Shipman. It tells the story about a box of recipes collected, created, and handed down from one generation of women in a family to the next. The box makes its way to the current generation and a protagonist who isn’t interested — at first. “It tells a story that all the recipes weave together,” Myers said. Myers is making the triple berry galette recipe from Part 4 of the book. 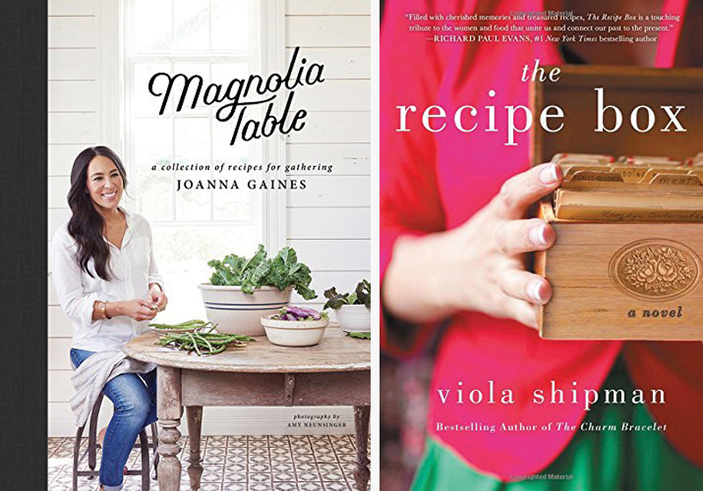 For September, the Dish selection is “Magnolia Table: A Collection of Recipes for Gathering” by Joanna Gaines. The library is also hosting a Walking Book Club at 9 a.m. on the first Thursday of the month. The club will combine three important keys, according to research, to good brain health: exercise, reading, and social engagement. “These are the things that make you healthier,” she added. While she initially set it up as a monthly meetup, Myers said some people have inquired about making it weekly as it would encourage more activity. Walking Club members meet at the library, 102 E. Haynie, then go for a walk. They won’t be reading as they walk, Myers said, but simply discussing that month's selection or books in general. “So you won't see a bunch of people walking along with their heads in books,” Myers explained. She envisions this as a small group because it would work better that way, but, if club numbers grow, it might become several small groups. In case of inclement or hot weather, the club will walk inside First Baptist Church of Llano. With these two additions, the Llano County Library is now hosting four different book clubs, but, as the wheels turn in Myers’s brain, who knows what lies ahead. Contact the library at (325) 247-5248 or llanocountylibrary@yahoo.com for more information. Ask staff to add your name to the library's newsletter so you can keep up with all the activities and programs.